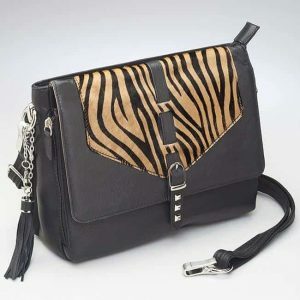 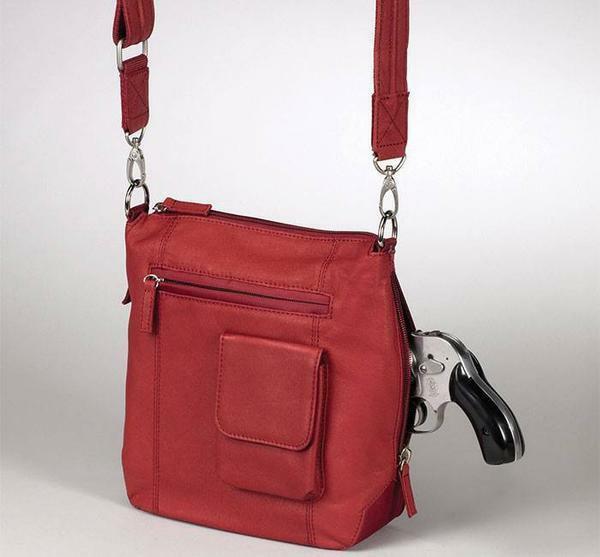 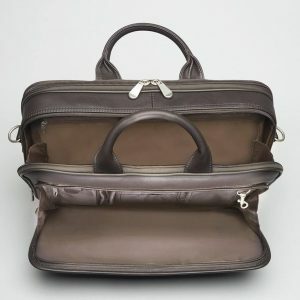 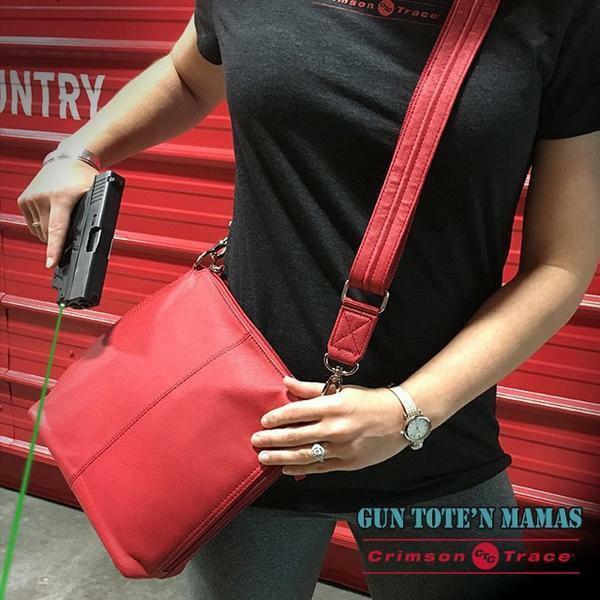 This class cross body bag is great for a light carry day. 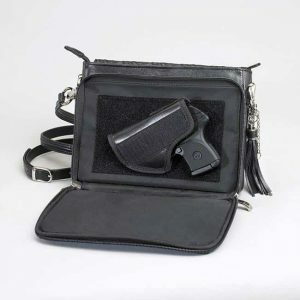 Fits Gun Size(s): Revolver & Lcp’s. 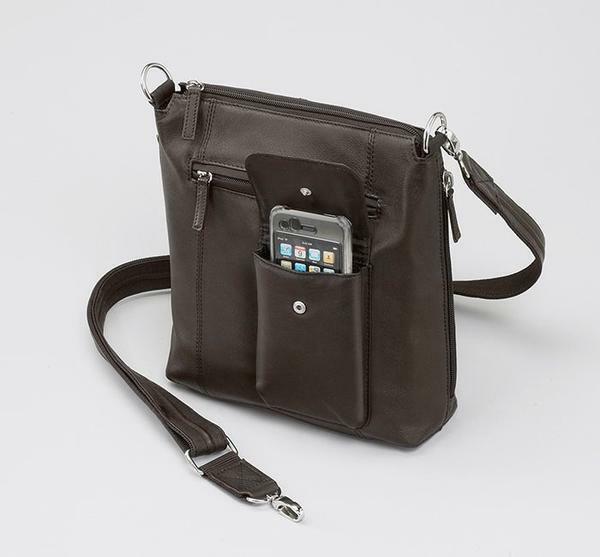 Nice pockets for organizing! 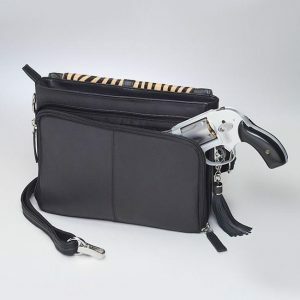 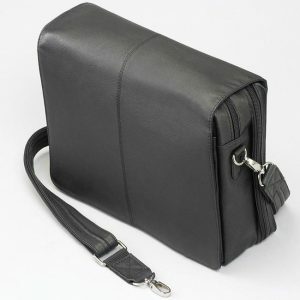 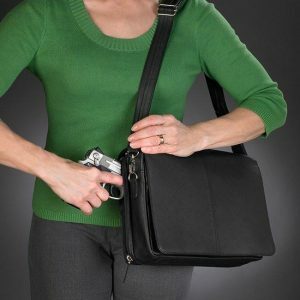 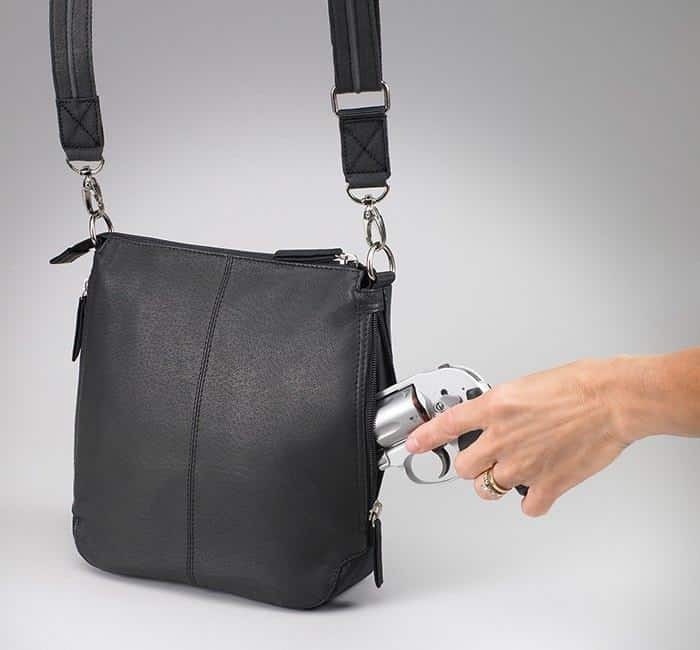 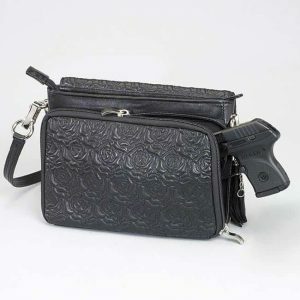 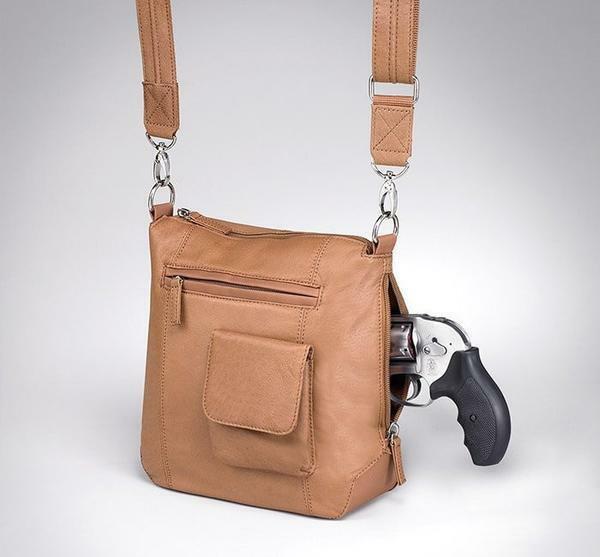 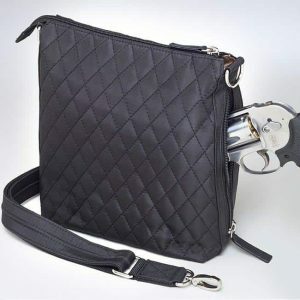 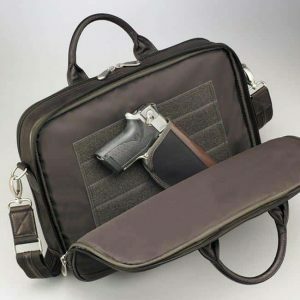 This black gun purse is perfect for carrying light. 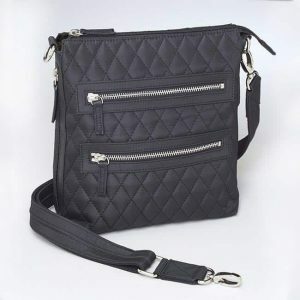 Pockets for organizing, and can be worn cross body.